page 79 -- Jumbo, Willimantic Thread, F.H. Allis & Co., J.H. Dudley & Co., Joseph W. Smith & Co. I hope Jumbo was not as distressed as portrayed here! In the 1880s and 1890s Jumbo was a phenomenon. The trade cards depict an actual elephant that came to America as part of the genesis of the Barnum & Bailey Circus. For the complete story, The Barnum Museum or Wikipedia are useful sources. Jumbo's departure from London for America is detailed on Scrapalbum.com. Credit: Historia - Bel99TV "Film shows the circus train being unloaded, circus wagons drawn by horses. The circus tent is put together. It shows the challenge of providing all circus people with meals, these being made en masse, It shows a clown putting on his makeup and clown acts. And the circus parade." 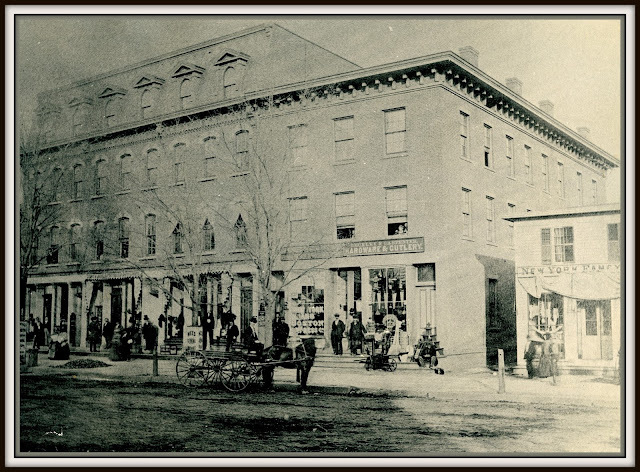 In the midst of all this hype for Jumbo, if you're still interested in Willimantic Thread, see The Willimantic Cotton Mills page of textilehistory. 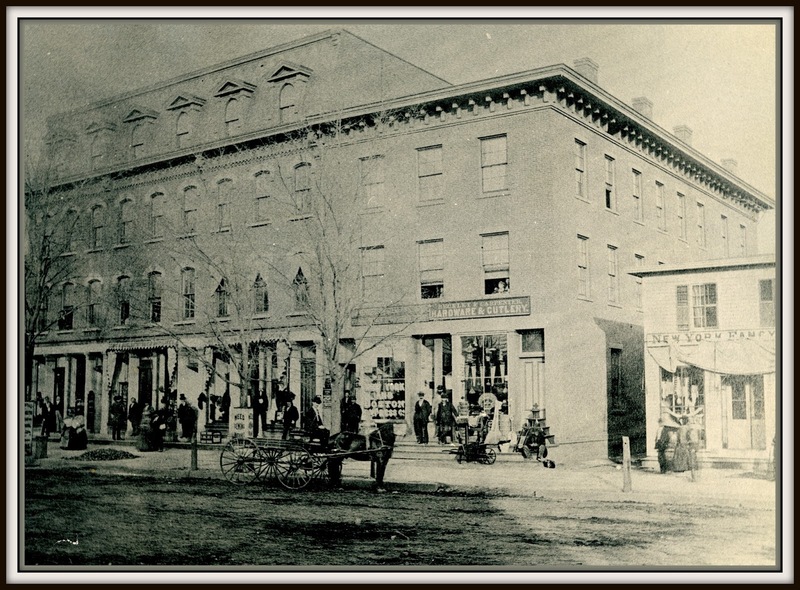 "Hart's Block was located at 181 Main Street. F.H. Allis & Co. first appears in the 1877-78 New Britain City Directory. The address is 177 Main Street. The company remained at that address until the 1887-88 directory. In the 1888-89 directory, F. H. Allis & Co.'s address is Booth's Corner. 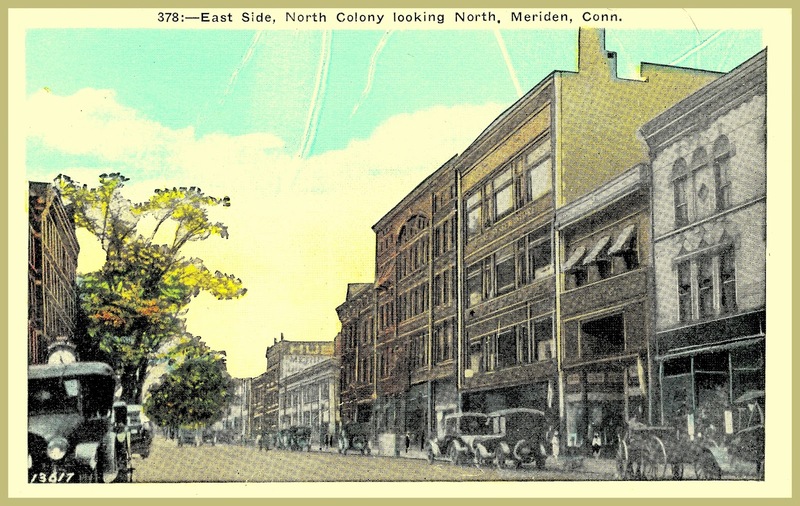 Booth's Corner was located at the corner of Main and Church St. The address remains at Booth's Corner until 1901. F. H. Allis & Co. is not listed in the 1902 city directory. According to the 1906 directory Fortis H. Allis moved to Haverhill, MA." "... Hart's Block is the taller of the two buildings. 177 Main may have been the building to the right and it may be that Mr. Allis used the Hart's Block designation because it was the bigger building." "Jumbo leaving England, on the way to the steamer"
"the way Jumbo was suspended"
"giving Jumbo a friendly push up Broadway NY"
The National Register of Historic Places could not save this bit of history.